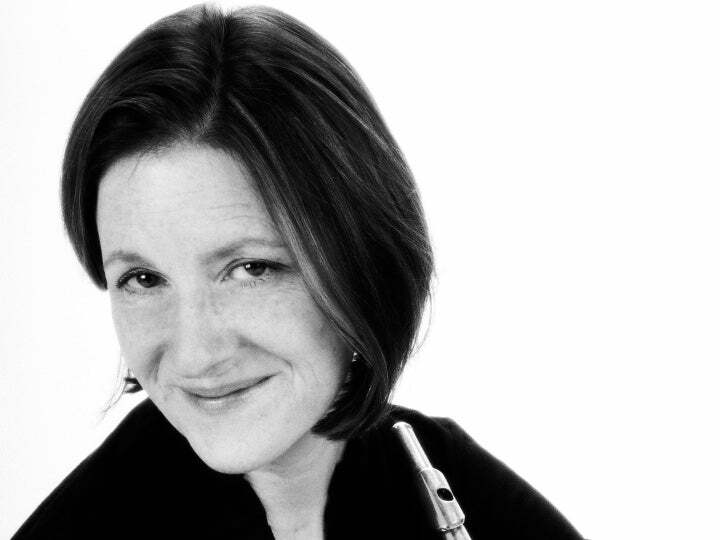 New Jersey Symphony Orchestra flutist and piccoloist KATHLEEN NESTER has been a member of the NJSO woodwind section for more than 25 years. In addition to the NJSO, Nester is a member of the Stamford Symphony Orchestra (CT). She has performed with the New York Philharmonic and The Orchestra of St. Luke’s and has been a flutist for many musicals on Broadway. 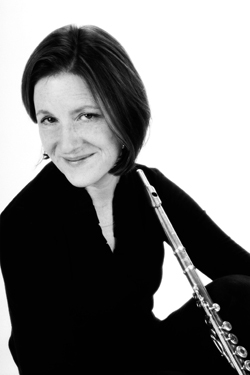 A longtime member of the NYU flute faculty, Nester holds a Master of Music degree in performance from the Manhattan School of Music. PRACTICE ROUTINE: I love to practice. I practice flute and piccolo every day, and when I have the time, I practice alto recorder and Irish flute as well. FAVORITE PASTIMES: I love to read and do crossword puzzles. I also like to knit, visit art museums and go to plays and movies. Since I cook for my family every day, I try to improve my cooking skills by frequently trying new recipes. RECOMMENDED READING: All the works of Kazuo Ishiguro, William Trevor, Jhumpa Lahiri, Edith Wharton, Elizabeth Stroud and, of course, the British classics: Jane Austen, the Brontës, Charles Dickens, Henry James, Kingsley Amis, Nathaniel Hawthorne and many, many others. BOOK OF THE MOMENT: “The Way We Live Now,” by Anthony Trollope, and “Let the Great World Spin,” by Colum McCann. FAVORITE FILM: I love film. Most recently I have seen, and loved, The King’s Speech (great use of classical music in the soundtrack!). And I love animated movies—check out the beautifully drawn Secret of Kells. FAVORITE SPORTS: Swimming, skiing and ice skating. FAVORITE ICE CREAM FLAVOR: Ciao Bella’s Green sorbet. IF I WERE NOT A MUSICIAN … I would like to be a visual artist or a writer. IF I WERE A CRAYON, THE COLOR I WOULD BE: Burnt Sienna. ADVICE FOR YOUNG MUSICIANS: Keep practicing! Whether or not you aspire to become a professional, playing a musical instrument is a lot of fun! WHY MUSIC MATTERS: Music is a universal language that unites all of humankind. Music enriches both the performer and the audience. Learning to play an instrument, or developing an educated ear, is as essential to personal well-being as learning how to read. Moreover, as outlined in a recent Scientific American article (October 26, 2010), music education can improve cognitive development in general. INSPIRED BY: I am always inspired by the work of my colleagues. In addition, as a musician-elected representative to the NJSO Board of Trustees, I am awed by the dedication of these individuals to the NJSO. Music really matters to them!